Tuberculosis (TB), a significant public health problem worldwide, remains the major cause of death in many countries. The map shows the global distribution of the estimated number of TB prevalence cases and the number of deaths from TB in 2007. 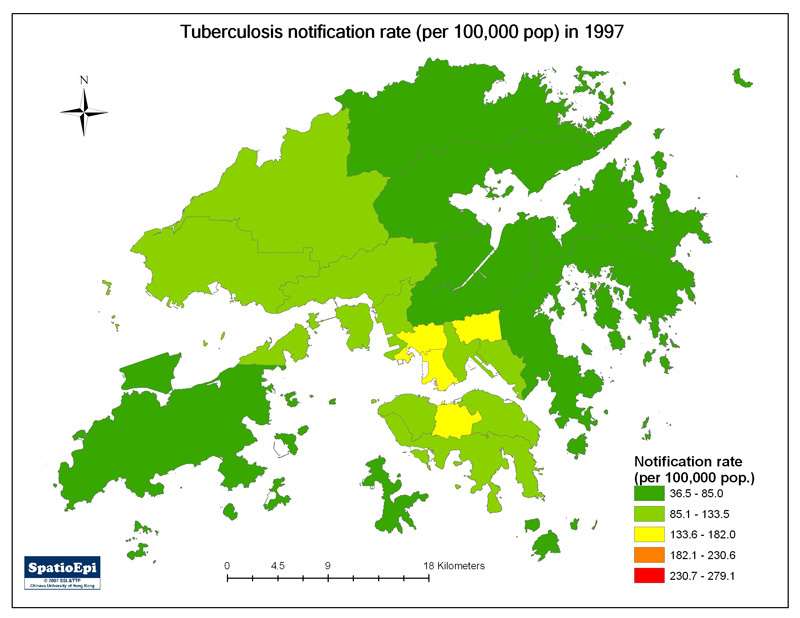 As shown by the graduated colours, China and India have the highest TB prevalence, while some countries in Southeast Asia and Africa have a relatively higher TB prevalence than other parts of the world in general. Using varying size of circles, the map also shows the distribution of TB deaths, which resembles the distribution of TB prevalence cases. 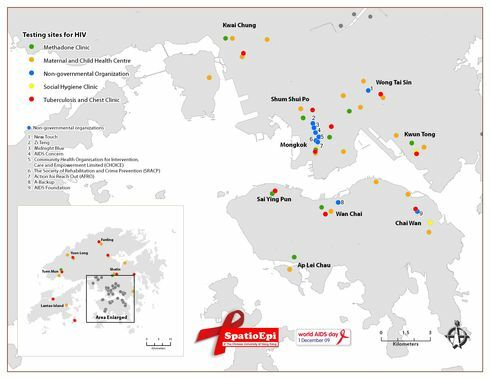 Co-infection with human immunodeficiency virus (HIV) is a concurrent public health problem in many countries. World Health Organisation (WHO), together with the Stop TB Partnership, launched The Stop TB Strategy in 2006 with the goal of reducing global TB burden dramatically by 2015. To achieve the goal, six implementation approaches have been identified to address different challenges in the TB control programme (Details of each approach can be found in the official website of The Stop TB Strategy). 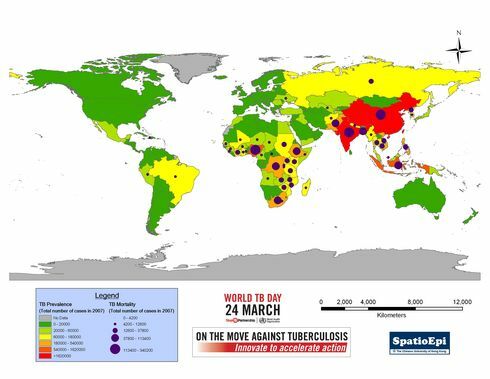 Besides implementing TB control programmes, WHO has decided to raise public awareness of tuberculosis by observing World TB Day on March 24, which also commemorates the day in 1882 when Dr Robert Koch discovered the TB bacillus.